REGARDLESS OF THEIR FUTURE PROFESSION, WE WANT EACH OF OUR STUDENT-ATHLETES TO "DREAM BIG" ABOUT HOW THEY CAN DEFINE AN INDUSTRY! 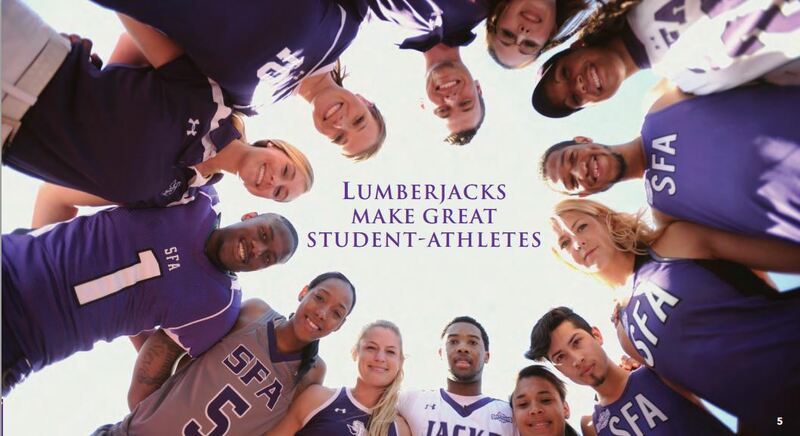 It is important to recognize the skill set that each of our student-athletes develop over their time as a Lumberjack of Ladyjack. Time management, multi-tasking, discipline, and having a healthy lifestyle are just some of the benefits to competing on behalf of SFA and within intercollegiate athletics. CONTACT US TODAY TO LEARN MORE AND JOIN THE LUMBERJACK SPORTS INSTITUTE & VARSITY CLUB!